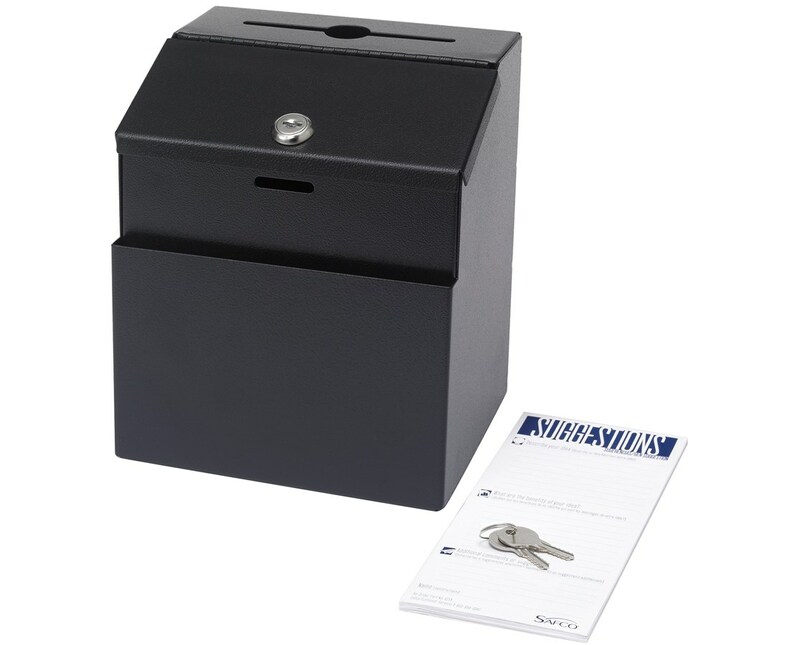 The Safco Suggestion Box is a tough and versatile collection box that can be used standing on a surface or mounted on walls. It is secured by a key lock and two keyed-alike keys provide access to the contents. A seven-inch wide front pocket compartment is available for holding pens and cards. The top drop slot is 4 ¾ inches wide and has a one-inch diameter key drop. Also included are adhesive labels like "Suggestions", "Comments", "Key Drop", and "Express Check-out", 25 suggestion cards, and mounting hardware. 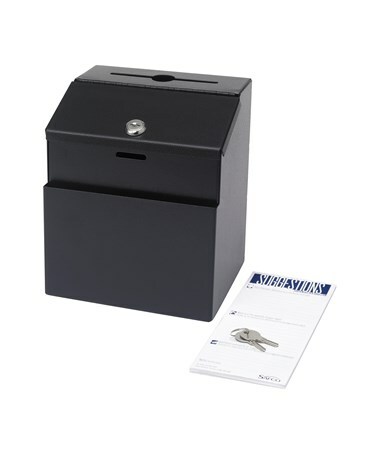 This drop box is made of steel with a powder coat finish and is safe for indoor use as certified by GREENGUARD.